An architectural rendering shows what the proposed Keller Williams office building at Ninth Street and Bay Avenue would look like. The developer of a proposed real estate office that was rejected by Ocean City planners in January has redesigned the project in hopes of smoothing over a series of objections, including the size of the building. Paul Chiolo, owner of the Keller Williams realty company, said the latest iteration is considerably smaller than the previous design. The new version of the two-story building includes about 4,800 square feet of space compared to 6,000 square feet in the original plans. Keller Williams is responding to complaints from Planning Board members and other critics who called the original $2 million project grossly oversized for its proposed location overlooking the Ninth Street corridor, the main entryway into town. “We definitely took into consideration everything that was said that night,” Chiolo said, referring to objections raised by the board when it voted 7-2 to reject the project on Jan. 11. Architecturally speaking, the building would largely retain the same look as the original designs, but would be smaller now, Chiolo said. Members of the public who spoke out against the project at the Planning Board meeting in January focused on the building’s proposed size. One resident called it a “monstrosity,” while another said it would overwhelm the site. In addition to reducing the building’s size, the new design also eliminates aspects of Keller Williams’ parking plan that would have required a variance from the Planning Board, Chiolo noted. Board members who voted against the project expressed skepticism about the parking plans and the proposed traffic flow in and out of the office building. They also voiced concerns that vehicular traffic generated by the office could create a danger for pedestrians and bicyclists using the nearby walkway along the Route 52 Causeway bridge, which feeds the Ninth Street artery. Chiolo said he wants to bring the redesigned project before the Planning Board as soon as possible. Board approval is needed before construction can begin on the high-profile site at the corner of Ninth Street and Bay Avenue. 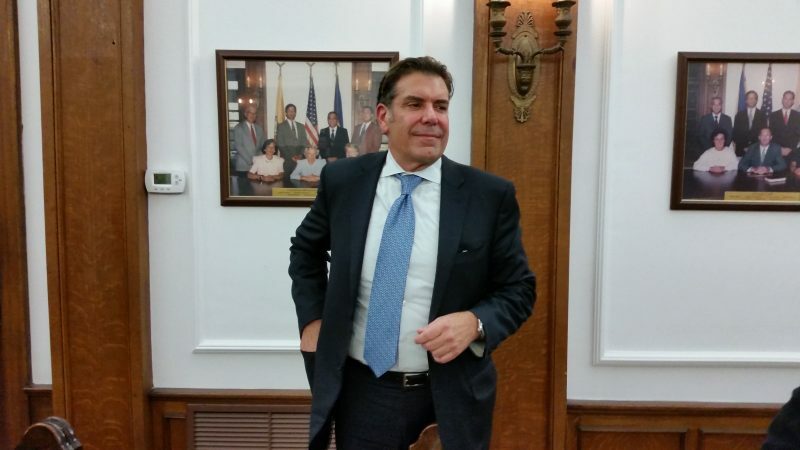 “We are still moving ahead with the intention to redevelop the property,” Chiolo said in an interview Thursday. 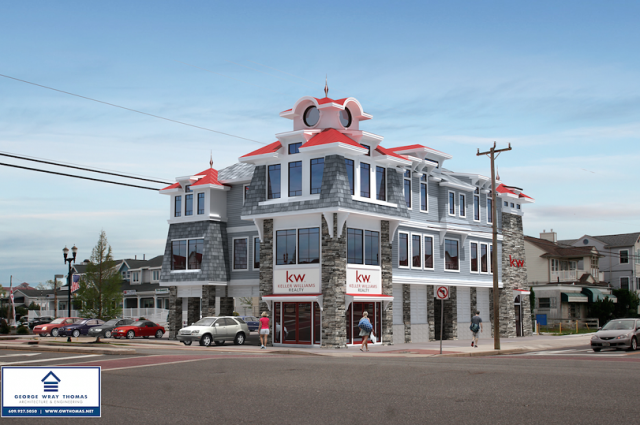 Paul Chiolo, owner of the Keller Williams realty firm, says the project has been redesigned to address objections raised by Ocean City planners. However, Chiolo added that the city continues to send comments about the project to his architect and attorney, which he says has delayed Keller Williams from getting a new hearing before the board. In a related development, Chiolo disclosed that he recently received an offer from the city to buy the property from Keller Williams. He said he is not interested in selling the land. He did not divulge how much the city offered. “My interest is in building the building,” he said. Chiolo said a letter sent to him by Dorothy McCrosson, city solicitor, also mentioned the possibility that the city could acquire the site by eminent domain, the government power to seize private property for a public purpose. McCrosson could not be reached for comment Thursday. Ever since Keller Williams announced its project last year, there has been debate whether an office building would be the best use for the site. Critics of the project said they would prefer to see the property transformed into green space. As part of a broad makeover of the Ninth Street gateway to make it more inviting to visitors, the city has proposed redeveloping three former gas station sites into landscaped parks. The city bought an old BP station last year for $475,000 and has made a $650,000 offer on a former Getty station next door. Both the BP and Getty stations have been demolished, but are still awaiting redevelopment into new parks. Keller Williams has proposed building its office complex on land formerly occupied by an abandoned Exxon gas station that had marred the appearance of the Ninth Street entryway for years. The company bought the site for $500,000 and demolished the blighted Exxon station to make room for new construction. Mayor Jay Gillian originally wanted to incorporate the former Exxon site into the city’s plan for green space along the Ninth Street corridor. The mayor, though, seemed to endorse the Keller Williams project last fall when he called it a “beautiful place” during a town hall meeting that focused on the city’s plans to give Ninth Street a facelift. On Thursday, Chiolo reiterated his belief that the Keller Williams office building would be an attractive new commercial centerpiece for the Ninth Street corridor. “I think it’s an absolutely gorgeous building that you’ll see when you come into town,” he said. Previous articleWill Hurricane Season Sizzle Or Fizzle?